Buying a home is one of life’s milestones – along with graduations, your first paycheck, getting married, and your first child! As with many big decisions, buying a home is a process that requires as much technical information as it does emotional and rational decision-making. In the not-so-distant past, the 2007-2008 housing crisis made the prospect of buying and owning a home difficult – and even risky. But now, in 2016, things have changed. The economy has significantly expanded in the past eight years, and the housing market is much more stable than before. As a prospective home-owner, there is much more information and guidance available now for you than ever before. In the long-term, buying home is a great investment. The process, from beginning to end, can be overwhelming, but with proper research and guidance, it can be rewarding. 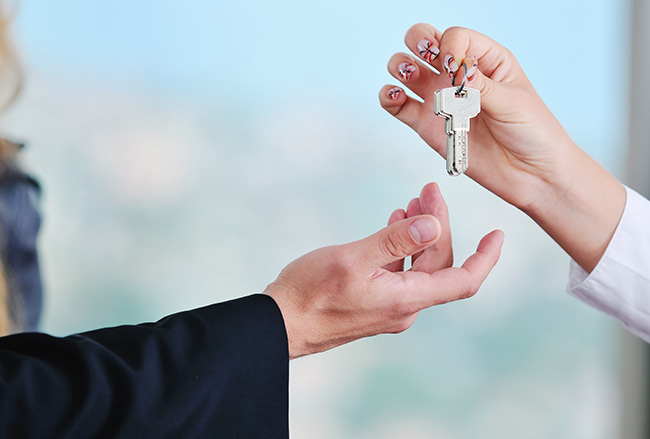 At Property Wise, our team is prepared to walk you through this process. Here is our brief guide to buying a home. Before anything else – ask yourself why you want to be a homeowner. Of course, owning a home is a joy, but it also a lot of work and a major commitment. You’ll want to be able to stay in this home for at least five years. If you’re ready to settle down and are financially secure, then buying a home is an excellent investment. When was the last time you checked your credit score? Your credit score (which you can check here) is an important element in becoming a home-owner. The bank that supplies your mortgage loan will check your credit score to ensure that you will be a trustworthy candidate. Your credit score comprises information about your bank accounts, credit cards, loans, etc. that will be used by lenders to determine whether you qualify for a loan, and how for much you could quality. Depending on your credit score, you may be able to receive better interest rates. Even if you don’t have a great credit score, there are lenders who are willing to work with you to provide you with options to securing a loan for a home. “Live within your means” – this is a saying we’ve all heard before. As you begin the search for your home, be transparent with your finances. Whether you are single or partnered, consider your gross annual income and determine how much you can put monthly toward a mortgage. Buying a home is not financially prohibitive – there are many different options available in terms of property. The important thing to keep in mind is what you are able to afford as a homeowner. Many financial advisers will tell you that the best rule of thumb is to find a home that is two or three times your annual income. For example, if you make $100,000 a year, then a home that is between $200,000 to $300,000 would be a good option for you. Additionally, financial advisers recommend that you try to find a mortgage that will not exceed 25% to 30% of your monthly income. This will differ from person to person, given their financial responsibilities and should be adjusted accordingly. If you have many dependents or many student loans to pay off, then you’ll want to adjust to a mortgage payment that works with your finances. Before you actually start looking for a home, it is important to know what you can spend (based on the above information). After you’ve calculated your own finances, it would be beneficial to be pre-approved for a mortgage. This simply means that you’ll meet with a mortgage banker with your financial documents, with information such as your annual income, your tax returns, and your bank account statements. An evaluation of your fiscal information will help to determine the range that you could be approved for with a mortgage. Also, keep in mind that there are different mortgages available – from a 30-year to a 15-year mortgage. This means that you’ll make monthly payments based on a 30-year or 15-year breakout, with interest. This is important information as you begin to search properties. You are not being approved for a mortgage at this stage, nor are your bound to anything. The pre-approval for a mortgage simply tells you the range of how much you are able to borrow. Be wary of banks that approve you for loans that are well beyond your means, and try to stick to a number that is affordable for your budget. Ask us at Property Wise for mortgage lenders we trust. Where do you want to live? What kind of house do you want to live in? How many bedrooms, how many bathrooms? What geographical features are important to you? Do you need a big yard for your kids, close proximity to the school? Conversely, would you prefer something in a lively neighborhood with many different options to participate in the community? Research neighborhoods, schools, commercial centers, and overall location. Consider the things that are important to your lifestyle, and your proximity to them. At the same time, know that the process of finding the right house will take some time. During this time of searching for the perfect home, begin a savings plan! Financial advisers recommend that you save approximately 20% of the property value for a down payment, and another 3% for closing costs. Keep in mind that you’ll want to make certain changes and home improvements, whether it repainting the walls or home decorations. And – no matter how perfect the house may be for you, certain unexpected things may happen, such as a clogged drain pipe or a broken furnace. You’ll want to be sure that you have savings on hand to cover unexpected repairs, so be sure to factor these costs into your budget as well! The process of buying a home, from the time you decide you want to buy to the time you move in, requires a lot more than what we’ve provided here in this brief guide. For more in-depth information about becoming a home-owner and to view potential properties, contact us at Property Wise! We serve customers in the Gila Valley, Arizona area.